Snag a Cancellation – It Works! In a previous blog I shared hints from Xanterra Parks and Resorts for securing reservations at some of the country’s best National Park Lodges. “Be persistent,” they say, “Rooms open up due to a variety of reasons. 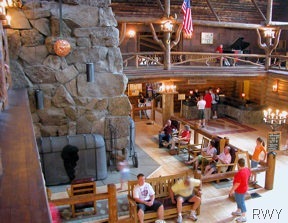 You might be the lucky one to re-book that room.” Today was my lucky day – I snagged a reservation at Old Faithful Inn on June 4th. 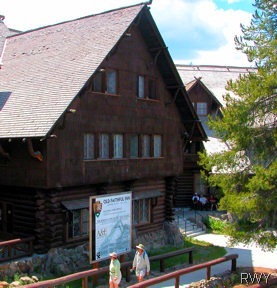 We’ve had the privilege of staying at Lake Yellowstone Hotel, Old Faithful Snow Lodge and Mammoth Hot Springs Hotel but never the venerable Old Faithful Inn. As a young girl I remember lunch there on my family’s first trip West in the 1950s. 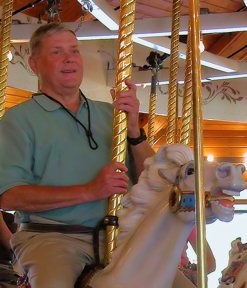 Two years ago our Yellowstone National Park vacation included lunch and a interpretive tour of the inn. An overnight was on our “Some Day” list. In a few days we’re leaving on a road trip to the Pacific Northwest. Two months ago I checked the Xanterra website for a room at Old Faithful Inn without success; I looked again 30 days out since that’s when group tour operators must release rooms they’ve booked but haven’t filled. The last few weeks I’ve occasionally searched the website for availability. No luck until this morning when almost as an after thought I logged on. There it was, a room with two doubles and private bath. It didn’t take long to request and confirm our reservation. One additional hint I’d share is to register on the Xanterra site with your information when you begin your searches. That way you’re in the system and can quickly make a reservation when something opens up. Try it – maybe it will be your lucky day. Xanterra Parks and Resorts operates nine lodges within Yellowstone National Park as well as restaurants, gift shops and activities. 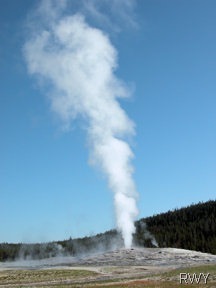 Plan your visit at their Yellowstone specific website. They are also official concessionaires at Grand Canyon, Zion, Bryce Canyon, Death Valley and Crater Lake National Parks. 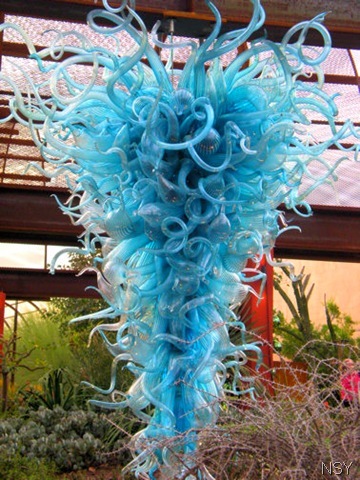 Dale Chihuly’s phenomenally successful Nature of Glass exhibit at Phoenix’s Desert Botanical Garden closes May 31, 2009. 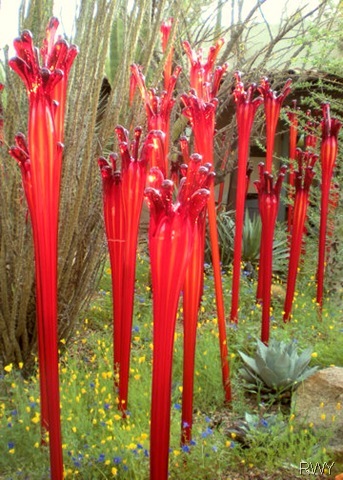 For six months visitors have oohed and aahed over the colorful glass creations in the desert garden setting. Cameras have captured millions of memorable images, overviews to close-ups. I’ve arranged some of our favorites into four slide shows. I hope you have time to sit back and view the Nature of Glass. Click “View Full Album,” on the following page click “Slide Show.” At the end of each slide show double click the back arrow to return to the blog post. The first album begins with Desert Towers outside the garden entrance which mirrors the region’s yuccas and agave. 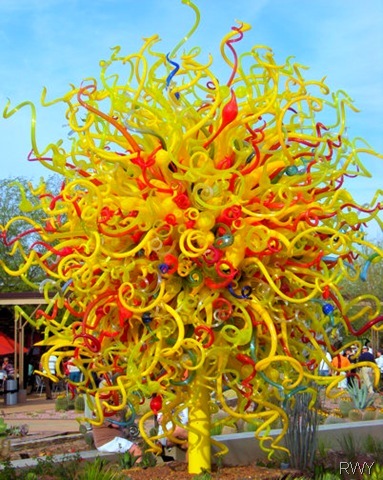 The exhibit’s centerpiece – The Sun – brings more than 1,000 separate pieces of glass together into a 14-foot-tall explosion of color and form. Note how flower and cactus plantings compliment Scorpion Tails and Bamboo. Bet you can identify which of the installations is named Mexican Hat and Horn Tower and The Moon. Reeds, tiger lilies, heron and horns, fiddleheads, ferns and fiori (Italian for flowers) appear in a multitude of rich colors. I find it fascinating how the glass integrates into the gardens. 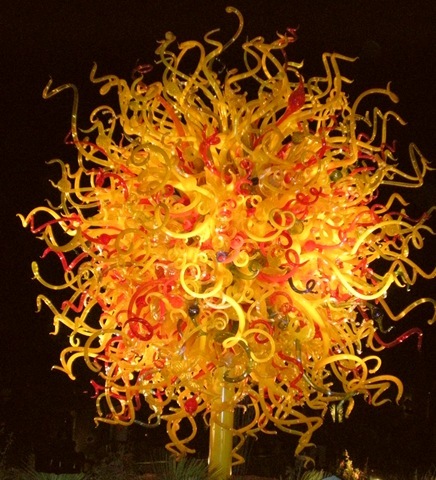 The term chandelier takes on new meaning after you’ve viewed Chihuly’s creations. Hundreds, even thousands in some cases, of individual pieces attached to a frame almost defy description. We’ve seen numbers of Chihuly chandeliers in public buildings and previous exhibitions but there was something about seeing them in the outdoor setting that took our appreciation to a higher level. My favorite was the blue Chiostro di Sant’ Apollonia Chandelier pictured above. Boats and floats in the desert? The juxtaposition may break the norm but three installations were special crowd pleasers. It’s nearly impossible to pick a favorite between Blue and Purple Boat and Boat and Floats. 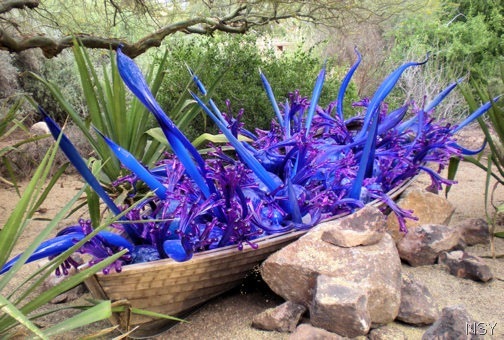 We made two visits to Chihuly’s Nature of Glass at Desert Botanical Gardens during our Arizona trip. If we lived closer I’d be there this weekend for final oohs and aahs. By night the glass and gardens offered totally different visuals. To see additional night photos check out my earlier blog, Nature of Glass by Night. The last weekend of May looks to be a bit quieter, a respite between Memorial Day and Summer with a capital S. Even so, Colorado paddles, peddles and belly dances, celebrates fiber and roses, and listens to bluegrass and ethnic music . Victory Bicycle Classic – Boulder, May 31. Ride with Olympian Davis Phinney and other cycling legends on either a 40- or 60-mile route, event benefits the Davis Phinney Foundation for Parkinson’s. International Music Fest – Brush, May 30. From salsa and Japanese drumming to music of Eastern Europe held at the Morgan County Fairgrounds from 11am – 5pm. Izzy Fest 2009 – Durango, May 30-31. Al Mafra Four Corners Belly Dance sponsors dance workshops with Isidora Bushkovski on May 31, performance May 30 at Smiley Theatre. 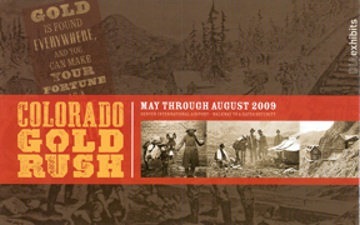 Clear Creek History Park Blacksmith Demo Day – Golden, May 30. A Golden blacksmith shop first opened in 1859. 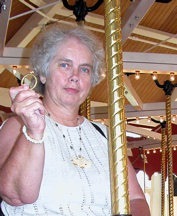 Watch demonstrations of these time honored skills, free admission. Fiber Fest – Pagosa Springs, May 30-31. Spinning, weaving knitting, felting of animal fibers – alpacas, llamas, angora and cashmere goats, churro and Cotswold sheep, angora rabbits and Scottish cattle – workshops, demonstrations, fashion show and Navajo rug auction fill the weekend. Palisade Parade of Roses – Palisade, May 30-31. 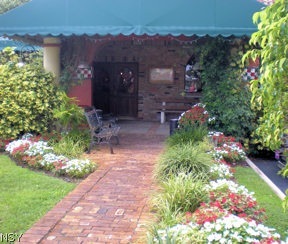 Judging and awards, rose workshops, tour of roses, Sunday brunch at Varaison Vineyards & Winery. Bluegrass on the River – Pueblo, May 29-31. Two stages of bluegrass entertainment at the Nature & Raptor Center of Pueblo at this 20th annual event. 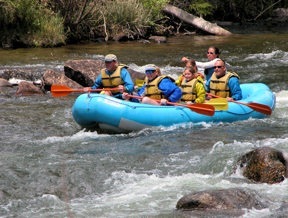 Combine a scenic float down the Gunnison River with a tasty dinner at Garlic Mike’s for a memorable summer excursion. Begin the adventure from Three Rivers Resort in Almont at 4pm. After a 10-mile trip downriver you’ll arrive at the riverside restaurant approximately 5:30 for a feast including focaccia bread with garlic spread, soup or salad, choice of entree from a special menu, dessert and non-alcoholic drink. The dinner float trip is available any night of the week with 24-hour notice and a minimum of four people. 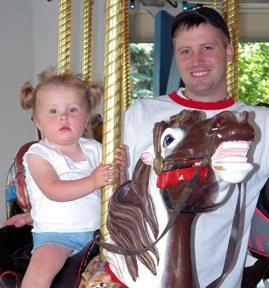 Cost is $53 per person, $33 for ages 10 and under. The float trip is perfect for multi-generational family groups. Accolades for Garlic Mike’s include awards for best waiter and chef to best restaurant, date place and wedding reception. 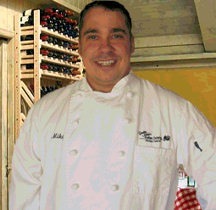 Owner/chef Mike Busse proclaims this the best Italian food west of Jersey – from which he hails. The restaurant is open for dinner seven nights a week with indoor and outside dining available in summer. 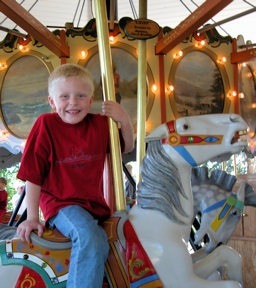 For more than a decade Garlic Mike’s has been a family favorite whenever we’re in the Crested Butte/Gunnison area. Located at the confluence of the Taylor River and East River forming the Gunnison, Three Rivers Resort offers cabin and jeep rentals in addition to outfitting services for fishing, rafting and kayaking. For more adventure they’ll book horseback rides, rock climbing instruction, hot air ballooning, mountain bike and hiking guides or offer trail suggestions for the more independent outdoor enthusiast. Book your dinner float trip by calling either Three River Resort at 888-761-3474 or 970-641-1303, or Garlic Mike’s at 970-641-2493.